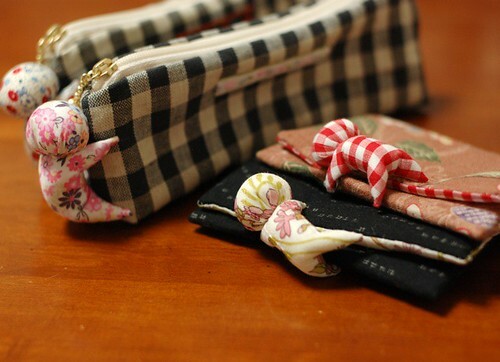 I made new versions of Sarubobo, on pouches. 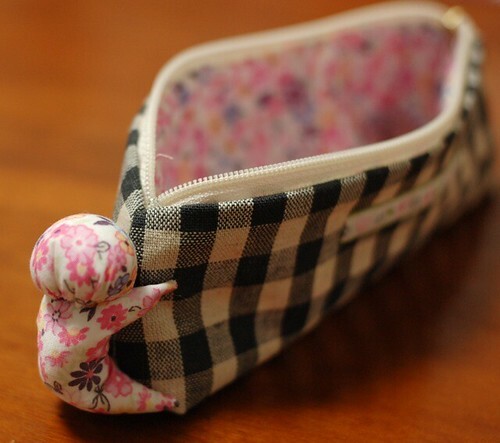 The one is the pen case. I attached a sarubobo on the edge. I made the sarubobo with the same fabric as the inside. 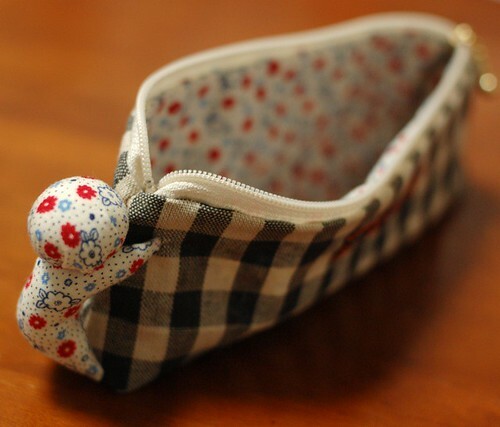 Now I'm working on writing the how to make this pen case. 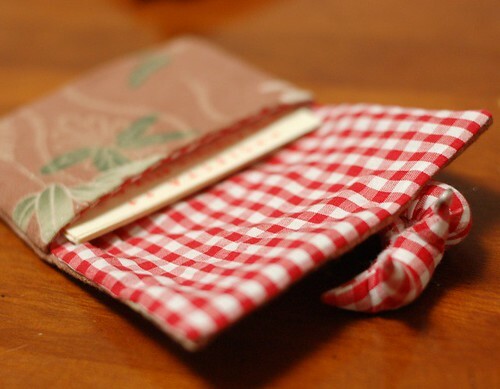 The second one is the card holder. It closes with a sarubobo. I put snap on the hand. 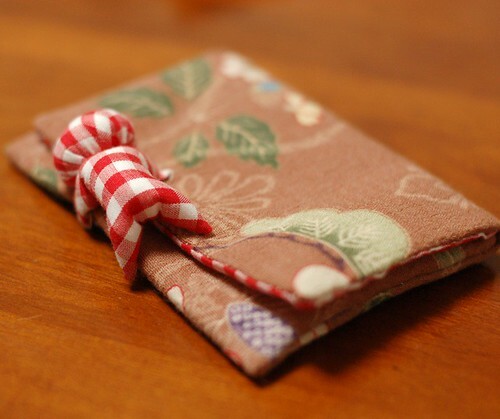 For the outside fabric, I used Japanese printed cotton which my mother gave me. I like this flower print one very much. Thank you very much for seeing them. Umm, can I find more variations??? You constantly amaze me with your creativity and capacity to do so much in so little time. Your creativity is endless!!! Bravo for Sarubobo!!! I just found this blog and I am so excited. What a found for me!! Your little dolls are marvelous! I will come back often! 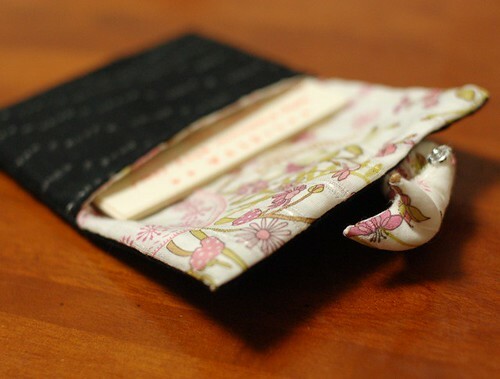 I have recently found your blog, and I am so in love with your designs! You are so very talented! I wish I could have met you when you came to the United States. I would have bought you some more cotton to make more lovely things. I have subscribed to your blog feed so I don't miss any of your designs. Do you ship to the USA from your etsy shop? Do you have another job besides etsy, or do your designs keep you so busy that you don't have time for other jobs? 8-) Your Sarubobo are so cute, and friendly-looking. I haven't tried making any, but I hope to soon. I just found your blog, and love it. You are very talented. I just love your Sarubobo dolls. I can't wait to make one. Thank you very much for sharing your pattern, and ideas. I recently found your blog, read every single one from the beginning. I really like your style and ideas, you are so creative. I wish I could meet you if you ever come to Hawaii. 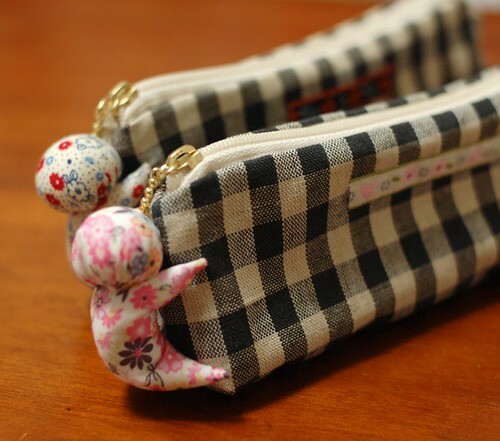 I might go to Japan in fall 2010, I want to look for Zakka books and fabric and other cute Japanese things. I am Japanese too but born/raised in Hawaii (Sansei), I miss all the cute little toys from when I was little. These are beautiful. You are very clever. I love how the snap is on the sarubobo's hand on the card holder. Too cute!!! I send my items to all over the world (If the post office allows). Oh, I'd like to visit Hawaii, if I can. You are getting so creative with these. I love these ideas! Your blog is beautiful and very well done! I enjoy it very much. Your patterns are excellent and the instructions and photos are excellent, also. Hi, good post. I’ll definitely be coming back to your site. Beautiful! You are very talented. WOW!!!! I love your work! 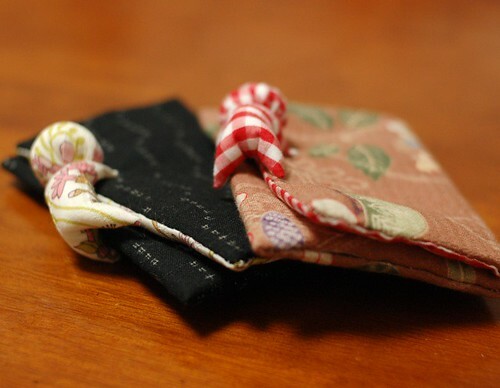 Can you let us know where you get the fabric for the pen cases from?? ?